Chroniclers of the game have rarely been kind to Andrew Freedman, principal owner of the New York Giants from January 1895 to September 1902. According to one team historian, Freedman was “naturally arrogant (with) a bad temper at the end of a very short fuse.”1 In much the same vein, Bill James memorably described him as “George Steinbrenner on Quaaludes with a touch of Al Capone” and “just this side of a madman”2 while another commentator has awarded Freedman the distinction of being “the most loathsome team owner in baseball history.”3 But Andrew Freedman’s stormy tenure as Giants owner was, in fact, only a chapter in the life of one of New York City’s most prominent turn of the century figures. To Freedman, ownership of the Giants was little more than a pastime, a diversion from the weighty business and political affairs that dominated his life. As a consequence, his stewardship of the team was mercurial, with frequent managerial changes, angry ultimatums to fellow magnates and battles with the sporting press alternating with periods of complete indifference by Freedman to his baseball interests. In short, team ownership did not show Andrew Freedman at his best. The future Giants boss was born into a Manhattan family of middle-class German-Jewish immigrants on September 1, 1860. Father Joseph Freedman (1829-1903) was a prosperous grocer while his mother, Elizabeth Davies Freedman (1836-1916), tended to the children, of whom Andrew was the second of four.4 A precocious grammar school graduate, Andrew was enrolled in pre-admission courses at the College of the City of New York at the age of 14 but proved an indifferent scholar, dropping out of CCNY at the end of his freshman year.5 Freedman began his working life in the employ of a dry-goods house but soon gravitated to real estate, the field where he would make his first fortune. To enhance his prospects, 21-year-old Andrew Freedman joined Tammany Hall, the corrupt political machine that controlled the Democratic Party in New York City. There he attached himself to Richard Croker, a rising Tammany star. In time, Freedman would become a financial adviser, business associate and lifelong friend of Croker. In 1886 Croker assumed control of the Wigwam and installed his protégé Freedman on the Finance Committee, Tammany’s all-powerful policy-making board. Combined with his native intelligence and a fierce energy, Freedman’s association with Croker all but guaranteed success in the real-estate world. Dealing extensively in tony Fifth Avenue properties and acquiring vast tracts of land in the then sparsely populated Bronx, Freedman quickly amassed a fortune via sale of property at inflated prices to local businessmen, city contractors, and others requiring the favor of his patron, Boss Croker. By the time he reached the age of 30, Freedman had become a very wealthy man. Wealthy, politically connected, and a native son, the young (age 34) Freedman’s acquisition of the team was initially well received by the New York sporting press and the Giants faithful. Baseball luminaries joined in the well wishes for the new owner. A.G. Spalding, having only recently divested himself of his own ownership share of the Giants, stated, “…From what I hear, Mr. Freedman is a clever businessman and will prove successful. I hope he makes a lot of money.”9 Just retired star John Montgomery Ward, a minority Giants owner whose sale of his stock had made Freedman’s control of the team possible, also applauded the new magnate, particularly after Freedman ratified Talcott’s appointment of Ward favorite George Davis as Giants playing manager for the upcoming season.10 Overlooked in the glow of good feeling was a dubious opening move by the Giants’ novice owner: elimination of the post of managing director of the team. Despite limited prior contact with and understanding of the game, Freedman would exercise the duties of franchise commander personally as Giants president. With the nucleus of the 1894 Temple Cup champions returning, great things were expected of the Giants, but the team started the new season sluggishly. Impatient New York scribes were quick to assign blame as did Giants fans, and the new team owner was not exempted from their censure. Although he was in many ways an able man, Freedman’s background had not conditioned him to public criticism. Combative and surprisingly thin-skinned, Freedman reacted badly. He began by firing his managers. Davis, Jack Doyle, and Harvey Watkins would all be relieved of duty during the 1895 season. Freedman also had trouble with his players, particularly star hurler Amos Rusie, who chafed under the owner’s disciplinary measures.11 Nor did Freedman enjoy cordial relations with his fellow magnates, most of whom found Freedman abrasive and impossible to get along with.12 Unwiser still, Freedman got into fights — at times, literally — with the writers on the Giants beat.13 In short order, Freedman managed to alienate most of the baseball world. In the meantime, his Giants team staggered home a disappointing ninth-place finisher (out of the 12-team National League). But if Freedman had gotten off to a rocky start as Giants owner, his troubles in that role paled in comparison to his disastrous turn as a minor-league mogul the following year. Asserting territorial rights under the National Agreement, Freedman muscled his way into the newly formed Class A Atlantic League, gaining control of the Jersey City franchise, which he promptly relocated to Manhattan. In emulation of John T. Brush’s operation in Cincinnati14, Freedman envisioned the team, renamed the Metropolitan of New York and installed in the Polo Grounds, as a developmental squad for the Giants. Stocked with the likes of Cy Seymour, Ed Doheny, Shorty Fuller, and other major-league-caliber players, the Mets were expected to dominate the Atlantic League but managed only middling play. The team also proved a financial dud, often drawing no more than 200 paying customers to home games. Frustrated by the franchise’s failings, Freedman turned soon petulant. Team assessments went unpaid, fines imposed on Mets players were ignored, and desired league expansion was blocked by Freedman. Unhappily for Freedman, his fortunes fared little better with the Giants that season. Crippled by the absence of Rusie, who sat out the entire year rather than capitulate to tight-fisted salary terms, the Giants finished the 1896 season a distant seventh, 27 games behind pennant-winning Baltimore. In the offseason, the Freedman/Rusie impasse was finally resolved via the unsolicited intervention of fellow N.L. team owners who — without Freedman’s knowledge or approval — quietly induced Rusie to return to the Giants for the 1897 season by settling $5,000 on him. Indignant when he found out, Freedman refused to contribute to the settlement and fumed at the magnates’ intrusion into his running of the Giants. Buoyed by Rusie’s return, the Giants surged to third place in 1897. The team also benefited from the inattention of its owner, now largely preoccupied with political matters. With Richard Croker returned from Europe and re-installed as Tammany chief, Freedman threw himself into the successful mayoral campaign of Tammany candidate Robert Van Wyck. After Van Wyck’s inauguration, Freedman declined appointment to office, choosing instead to remain a backroom power-broker in the new administration. At Croker’s urging, however, Freedman did accept the position of treasurer of the National Democratic Party. In 1898, Freedman expanded his business empire by becoming a principal of the Maryland Fidelity and Guarantee Company, a municipal insurance and bonding operation that proved a lucrative new source of income for Freedman.17 But as Freedman’s commercial interests flourished, his reign as a major-league team owner was about to enter a malevolent period that would beget serious repercussions for the game. Needless to say, Freedman bristled over the outcome, playing every Giants game versus Baltimore under protest for the remainder of the season. But what truly incensed Freedman was not so much the resolution of the Ducky Holmes affair but the position taken by his fellow owners. Branding the suspension illegal (because it had been imposed without a hearing), the other National League magnates had sided with Holmes and urged the league board of directors to lift the suspension. To Freedman, a proud man sensitive to slights, this stance and Holmes’s reinstatement represented nothing less than league countenance of a gross personal insult. And Andrew Freedman would not abide it. Freedman’s revenge would take the form of a punishing financial lesson for the other N.L. owners. 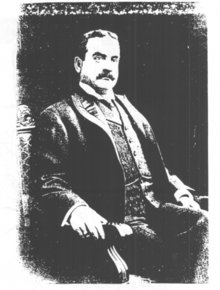 Although Freedman adversaries like Cincinnati owner John T. Brush, a clothing store magnate, and Baltimore boss Harry von der Horst, a brewery owner, were genuine sportsmen, their team ownership was essentially another business proposition and could not be conducted at a loss indefinitely. Andrew Freedman was different. While not in the plutocrat class of a Vanderbilt, Rockefeller, or Carnegie, Freedman was truly wealthy with a personal fortune that was likely the equal of those of his fellow magnates put together.22 In his eyes, owning a baseball team, like opera patronage and collecting French landscape paintings, was a pastime, not a livelihood. Thus, Freedman could well absorb the injury that would accompany his singular plan for retribution — ruination of the league’s most important financial asset, namely, Freedman’s own New York Giants franchise. By whatever methods required, Freedman would ensure that the Giants began fielding noncompetitive teams. Immediately thereafter, Giants fortunes nosedived. The 1899 season would see the Giants plummet to 60-90, a full 42 games behind pennant-winning Brooklyn. Repelled by the situation and with no end in sight, fans began avoiding Giants games in droves.23 As intended, the attendance falloff delivered a crippling blow to the finances of the league, particularly hurting the smaller market teams that had come to rely on healthy receipts from Giants contests. The league’s distress gave Freedman no end of satisfaction. As the Giants’ dismal season drew to a close, Freedman declared, “Base ball affairs in New York have been going just as I wished and expected them to go. I have given the club little attention and I would not give five cents for the best base ball player in the world to strengthen it.”24 And as even his detractors knew, Freedman meant it. The following spring, the American League, with new team ownership procured by Johnson, would transfer the Orioles to New York. But Andrew Freedman would not be there waiting to join battle. On August 12, 1902, Freedman, his interest in baseball near extinguished and besieged by the myriad demands of the subway project, announced that he had appointed John T. Brush managing director of the Giants and transferred day-to-day control of club operations to him (while Freedman retained the title of team president). A month later, Freedman severed his connection with the club, selling his controlling interest in the New York franchise to Brush for approximately $200,000, a purchase that Brush financed largely through the sale of his own Cincinnati team to local interests. Apart from an occasional day at the Polo Grounds, Andrew Freedman’s contact with baseball had come to an end. The eight years of Freedman stewardship are generally adjudged the darkest in New York Giants history. The team had been a contender only once (1897) during that span and had reached bottom (a 48-88 last-place finish) by the time Freedman abandoned the game. But perhaps more enervating than the Giants prolonged poor play was the atmosphere created by Freedman. Essentially a dilettante when it came to baseball, Freedman periodically left the Giants directionless. But team fortunes routinely sank even further when Freedman’s attention returned to the club. Chronically impatient with his team’s standings, Freedman inflicted 13 managerial changes on the Giants during his tenure as club owner. Worse yet, Freedman’s peevish battles — with players, umpires, fellow owners, league officials, the sporting press — and his ferocious vindictive streak drained vitality from the National League’s flagship enterprise and hurt the game itself in the process. In late 1914, Freedman served as best man when Richard Croker, his long estranged first wife having finally died, married his mistress. The following year, Freedman’s tautly strung constitution began to unravel. He suffered from bouts of exhaustion before suffering a complete nervous breakdown in November 1915. Confined to his Manhattan apartment suite and attended by 24-hour medical care, Freedman suffered a stroke and died on the morning of December 4, 1915. He was only 55. A glowing New York Times obituary extolled his business and civic accomplishments, describing Freedman as the person “who did more than perhaps any other man to make possible the subway system in this city.”37 Freedman’s tenure as owner of the New York Giants was noted in passing. A bachelor,38 Freedman bequeathed lifetime incomes to his aged mother and spinster sister, both of whom were comfortable in their own right, while personal mementos were left to Croker, Belmont, and other friends.39 The bulk of the $7 million Freedman estate, however, was designated for the erection and maintenance of a nonsectarian residence for the affluent fallen on hard times. First opened in 1925 and expanded six years thereafter, the Andrew Freedman House, an exquisite four-story limestone palazzo sited on the Bronx’s Grand Concourse, was declared a New York City landmark in 1992 and currently hosts civic and cultural events.40 Sadly, few entering the premises today are familiar with the mansion’s namesake. As reflected above, Andrew Freedman was not the one-dimensional ogre portrayed by the game’s writers. He was an astute businessman and political operative but lacked the temperament and baseball expertise required for success as a team owner. In the final analysis, both baseball and Andrew Freedman would have been better off if they had never made acquaintance. This profile is largely adapted from an article on Freedman and John T. Brush by the writer that was published in "Base Ball, A Journal of the Early Game," Vol. III, No.2, Fall 2009, by McFarland & Company, Publishers. 1 Hardy, J., 1995, The New York Giants Base Ball Club, 1870 to 1900, Jefferson, NC, p.158. 2 James, B., 2001, The New Bill James Historical Baseball Abstract, New York, p.61, and 1994, The Politics of Glory, New York, p.197. 3 DiSalvatore, B., 1999, A Clever Base-Ballist: The Life and Times of John Montgomery Ward, New York, p.362. 4 Little is known of an elder brother named Jacob (born 1854). Andrew was followed by Isabella (1862-1927) and Daniel (1864-1944), per the Davies family tree chart provided to the writer by the Isabella Freedman Jewish Retreat Center, Falls Village, Conn.
5 Per e-mail of CCNY archivist Samuel Sanchez, transmitted to the writer on Nov. 8, 2008. When he left CCNY, Freedman ranked 166th out of a class of 200. 6 According to the Freedman obituary published in the New York Times, Dec. 5, 1915. 7 See Hynd, N., 1988, The Giants of the Polo Grounds, New York, p.69; Alvarez, M., “The Abominable Owner,” Sports Heritage/ Nov. 1987, p.44. 8 See Sporting Life, Jan. 26, 1895, and Hardy, n.1, p.226. A majority stake in the franchise cost Freedman $48,000 (Reach Official Base Ball Guide, 1895) or $54,000 (Hardy). 9 The Sporting News, Feb. 5, 1895. 10 See Stevens, D., 1998, Baseball’s Radical for All Seasons: A Biography of John Montgomery Ward, Lanham, Md., p.183. 11 Late in the 1895 season, Freedman imposed a $200 fine on Rusie for being out of condition. Although the sporting press and Giants fans lined up solidly behind the pitcher’s refusal to pay, allegations made by Rusie’s wife during acrimonious 1900 divorce proceedings suggest that the grounds for the fine may not have been as capricious as originally supposed. 12 According to A.G. Spalding — a suspect source when it comes to Freedman — the Giants owner was “so obnoxious to most of those concerned with the game that nobody outside his own following could endure his eccentricities of speech or action. He would apply to other members of the league, in ordinary conversation, terms so coarse and offensive as to be unprintable.” Spalding, A., 1991 reprint, America’s National Game, San Francisco, p.192. 13 On October 12, 1896, Freedman was convicted of assault and given a suspended sentence for punching Edward Hurst, a critical sports columnist for the New York Evening World, per an unidentified newspaper clipping in the Andrew Freedman file at the Giamatti Research Center, Cooperstown, N.Y. Freedman, however, did not confine his aggressions to local sportswriters. He also had physical altercations with political correspondent Paul Theman, retired umpire Watch Burnham, theatrical agent Bert Dasher, fellow team owners John T. Brush and Harry von der Horst, and any number of Tammany adversaries. 14 In addition to the N.L. Reds, Brush also owned the Indianapolis Hoosiers, the premier team in the Western League and a useful proving ground for major-league prospects. 15 Affable in the company of political and business peers, Freedman condescended when it came to baseball acquaintances, haughtily insisting upon deference and the use of formal address (Mr. or President Freedman only) from those in the game. Taking its lead from the New York American’s Charles Dryden, the sporting press responded by referring to Freedman as Andy, a familiarity that Freedman detested. A railway club-car brawl was once triggered by former manager/umpire Watch Burnham’s friendly, if thoughtless, invitation to Andy to join the Burnham party for a drink (as recounted in The Sporting News, July 20, 1900). 16 For a more thorough rendition of Freedman’s travails as an Atlantic League team owner, see Sporting Life, July 18, 1896. Within a week, the Mets’ place in the circuit was assumed by the Philadelphia Athletics of the Pennsylvania State League. 17 Reportedly $100,000 per year. See Voigt, D.Q., 1998, The League That Failed, Lanham, Md., p.219. 18 The Sporting News, July 30, 1898. 19 As subsequently published in The Boston Globe, Aug. 20, 1898. 20 See Sporting Life editorial, Aug. 20, 1898. In keeping with the times, press criticism of Freedman was frequently expressed in repugnant Jewish stereotypes, with New York Sun sportswriter Joe Vila being the foremost exponent. Freedman responded by filing a blizzard of defamation-based lawsuits against the paper, all of which he lost.See Stevens, p.184-185. See also, Boxerman, Burton & Boxerman, Benita, Jews and Baseball, Vol. I, Jefferson, N.C., p.19-26. 21 For more detailed accounts of the Ducky Holmes affair, see Solomon, B., 1999, Where They Ain’t, New York, p.227-229, and Hynd, p.129-130. 22 According to McGraw, Mrs. J., 1953, The Real McGraw, New York, p.171. 23 Giants home attendance shrank from a league leading 390,340 in 1897 to 121,384 in 1899, per http.//www.baseballchronology.com/Baseball/Teams Background/Attendance. 24 As reported in Sporting Life, Sept. 30, 1899. 25 See Seymour, H., 1960, Baseball: The Early Game, New York, p.304-306. 26 Said Freedman, “I have patched up the differences I had with John T. Brush and acknowledge it with pleasure. We will now work on the most friendly terms and will work in harmony for the best interests of the sport.” Sporting Life, Oct.14, 1899. For more on the Freedman/Brush rapprochement, see Lamb, W., “A Fearsome Collaboration: The Alliance of Andrew Freedman and John T. Brush,” Base Ball, A Journal of the Early Game, Vol. III, No.2, Fall 2009. 27 Initially, Freedman acted as liaison between John D. McDonald, the subway’s general contractor, and the bankers who financed the project. Thereafter, Freedman was active in virtually every phase — property acquisition, tunnel construction, railway car manufacture, etc. — necessary to make the subway system operational. 28 Although often ascribed to Freedman, the National Base Ball Trust was almost entirely the brainchild of Brush, who as early as the 1892 season had proposed to Chicago President James Hart that the minor Western League be operated as a trust. See unidentified Jan. 30, 1892, newspaper clipping in the John T. Brush file at the Giamatti Research Center. 29 As outlined by Brush in a letter to Freedman, later obtained and published in the New York Press, Dec.11, 1901. For a comprehensive exposition of the Trust, see Hardy, p. 171-191. 30 In March 1902, New York State Supreme Court Justice Charles Truax sustained Freedman’s position on virtually every issue during preliminary proceedings. Shortly thereafter, Spalding resigned his putative position as National League President. 31 See Durso, J., 1986, Baseball and the American Dream, St. Louis, p.64-67; Solomon, p. 227-231. 32 From his manor in England, Croker attempted to maintain control of Tammany via trans-Atlantic direction to Freedman and other Finance Committee loyalists. After new Tammany boss Lewis Nixon resigned in protest, his successor, the astute Charles Murphy, cut off this back channel through the simple expedient of abolishing the Finance Committee and redistributing its responsibilities to Tammany organs under Murphy’s control. With Croker’s influence now stifled, Freedman was reduced to ceremonial posts and attending Tammany banquets. See the New York Times, May 22-23, 1902, for more details on the abolition of the Finance Committee. 33 Notwithstanding the substantial fees charged by Freedman, his administration of the trusts assigned to him was exemplary. The estate of Freedman’s most prominent charge, the mentally disturbed millionairess Ida Flagler, posted substantial revenue increases annually under Freedman’s care, drawing the commendation of both Mrs.Flagler’s legal guardian and the court. See the New York Times, July. 14, 1914. 34 As per an Andrew Freedman Foundation pamphlet, c.1965, provided to the writer by CCNY archivist Sanchez. 35 As noted in The New York Times, Feb.15, 1915, and various Freedman obituaries. 36 Essentially a high-handicap hacker, Freedman once managed to win an 18-hole tourney at White Mountain Golf Club posting a 100-30 = 70 net score, as per the New York Times, Sept.13, 1913. 37 New York Times, Dec. 5, 1915. Similar sentiments were later expressed by prominent New York lawyer and Freedman friend Samuel Untermeyer, who stated, “It is due more to the courage and enterprise of Andrew Freedman than to anyone else that the first subway was built.” Los Angeles Times, June 18, 1924. 38 A brief 1905 engagement to Elsie Rothschild fell through. Like Andrew, neither Isabella, a benefactress of various Jewish causes, nor Daniel Freedman, a wealthy realtor and minor Tammany functionary, ever married. Shadowy elder brother Jacob, however, may have been survived by an heir named Adelaide. See Surrogate’s Notice published in the New York Times, Jan. 27, 1916. Jacob predeceased Andrew and no connection of his ever came forward to challenge the will. Thus, nothing more is known of Adelaide Gwendolyn Freedman, aka Adelaide Archer. 39 For more on the Freedman will, see the New York Times, Dec. 9, 1915. 40 Once known derisively in the neighborhood as the Home for Poor Millionaires, the Andrew Freedman House is featured periodically in the real-estate section of the New York Times, see e.g., July 1, 2008.